OUR PRICE: $10.85 - Join Rewards Get $1 Dance Dollars On This Item! Make every holiday fun with themed Natalie dance socks! These adorable printed socks will put a smile on anyone's face. 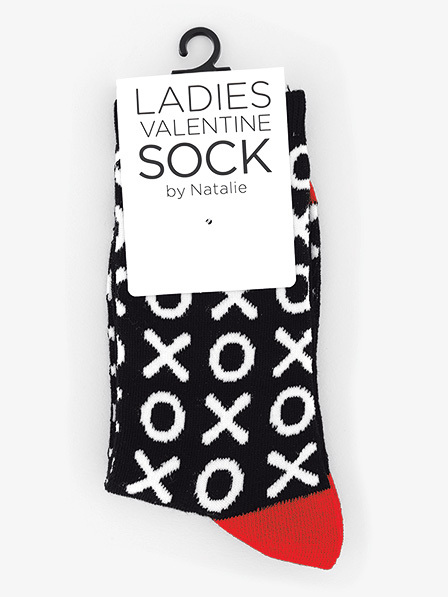 Socks feature an above the ankle length, an allover "XO" graphic print, and contrast heel and toe inserts.